This Arizona treasure was established in the 1930s, a time when golf courses did not get built through dense housing developments, and certainly not with tight, target fairways. At the Wigwam, the GOLF COURSES have remained at the top of the list. This jewel of the desert is among the Southwest's last remaining golf resorts built for a pure golf experience. Canals, streams and lakes cascade through the journey. The shadows cast on greens and bunkers are from majestic parkland trees, not multi-story resort buildings. The Wigwam's three 18-hole championship golf courses offer a diversity that cannot be matched by any other Arizona resort. Here, the golf enthusiast has their pick of not just one or two courses, but three 18-hole courses - 54 holes of championship golf including two courses designed by the legendary Robert Trent Jones, Sr. And, in true Wigwam style, each course - The Gold, Patriot and Heritage offers a unique challenge that adds spice and variety to one's stay at this timeless and relaxing retreat. 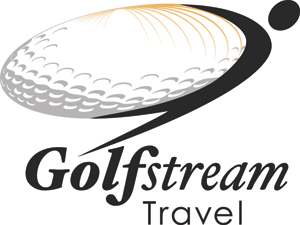 For guests that truly love the game of golf, The Wigwam features a variety of GOLF PACKAGES to entice every traveler, from family getaways to golf-intensive buddy trips. 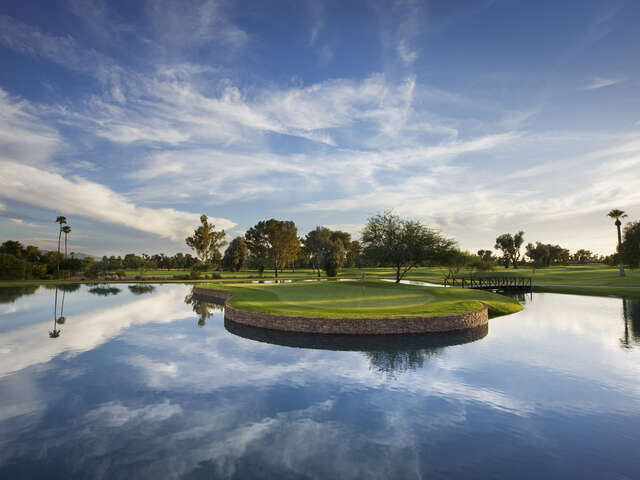 The Wigwam's three, 18-hole championship Phoenix golf courses offer incredible variety to the golfer looking for both diversity and challenge. Designed to provide a pure golf experience, The Gold, Patriot and Heritage are true parkland courses that are woven in and around the natural terrain of trees, lakes, canals and streams. 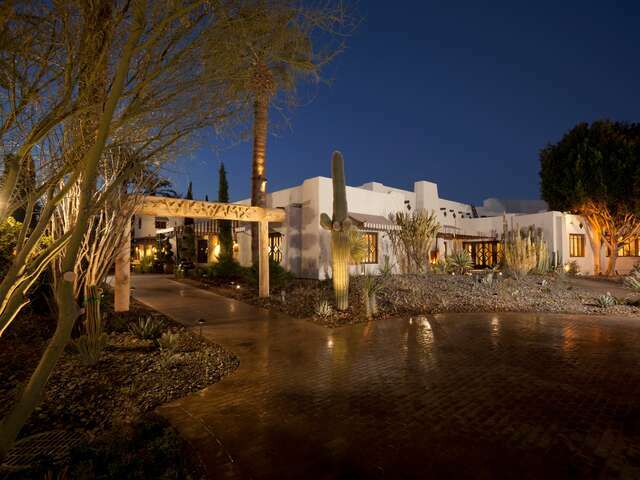 Tucked among fragrant rose gardens, citrus tree-lined enclaves and lushly landscaped walkways, our Phoenix, Arizona accommodations ensconce you in a private, supremely comfortable getaway. Each guest room invites you to celebrate the surrounding beauty with a personal terrace or patio overlooking a golf course, rose garden or a sparkling pool. Our 331 spacious guest casitas and suites exhibit traditional Territorial Adobe architecture and southwestern ambiance with wood furnishings and locally handcrafted pottery. Handsomely crafted in the Territorial Adobe style, this collection includes guest rooms, casitas and suites nestled among 8,000 vibrant rose bushes, towering palms, flower gardens and citrus trees with access to a patio or balcony that brings the outdoors in. 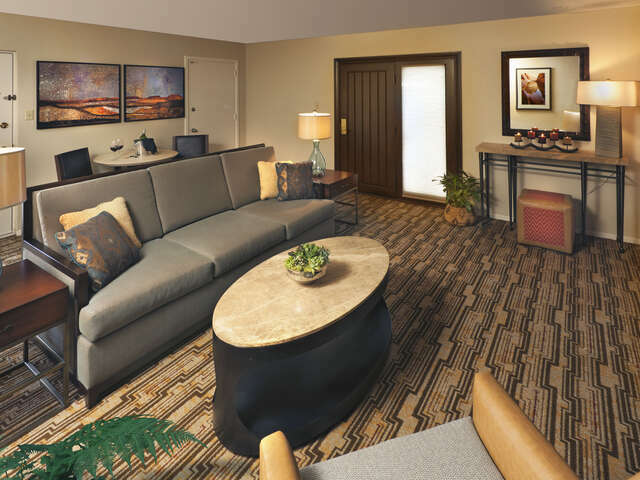 Guests will find interconnected walkways that lead from the guestroom to the main lodge and back. In addition to the size and type of rooms available, guests may also choose areas in which to self-park near their room, or perhaps, prefe to be near one of four pools, the Red Door Spa or the family activity center and tennis facility. These historic rooms are built over multiple acres and harken back to the early days of The Wigwam offering a true sense of exclusivity and privacy. If you are having a large party or group event, the hotel will be happy to arrange for a cluster of rooms to be reserved in one general area to suit your needs and enhance the social aspects of your visit to The Wigwam. This signature collection of guestrooms and suites is located in a private courtyard setting surrounding vibrantly hued gardens, it's own sparkling gated pool complete with private cabana bar, event lawn, and a multi-person semi-circle lounge with fire pit. 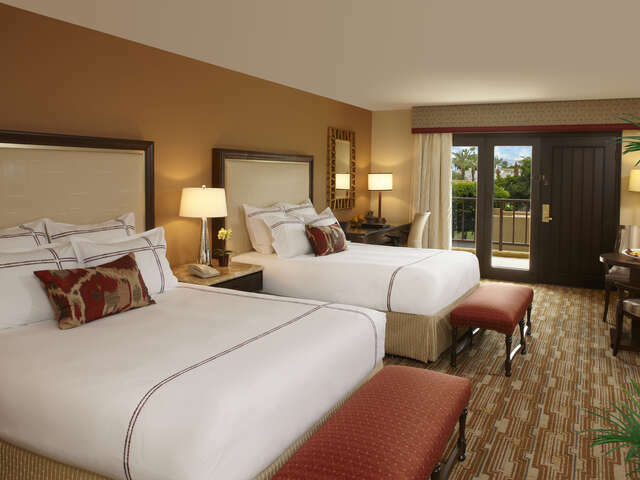 The Oasis Collection is often referred to by guests as a hotel within a hotel, and offers a secluded setting with 90 guestrooms and suites each with spacious terraces that face the pool. This area is ideal year-round for enjoying a cup of coffee and the paper as the sun rises on tranquil Arizona mornings. The pool complex was renovated in the summer of 2010 with new tumbled travertine tile on the pool deck, pebbletec coating in the pool for modern comfort and the addition of an expansive event lawn area for cookouts and other group events. Overlooking the emerald fairways of THE PATRIOT COURSE, an oversized, 550-square-foot guestroom offers scenic patio views, privacy and a wet bar complemented by southwestern flair. Adobe Fairway rooms are ideal accommodations for a golf vacation in Arizona, with just a short walk to the golf course pro shop and first tees. Situated on the renowned Patriot Course, our 800-square-foot Adobe Fairway Suites are a true golfer's sanctuary with breathtaking views of lush fairways and palms swaying above greens and bunkers. A parlor with a charming adobe fireplace opens to a bedroom with king bed, luxury linens, master bath and private patio. The interior is an inspiration of genuine Arizona décor, ranging from indigenous throws and rustic, handcrafted pottery to historic artwork that brings each wall to life. Just a short walk to the golf course pro shop and first tees. Every detail of your stay matters to us. Please enjoy the guest room amenities we have already put into place, and feel free to let us know of anything else you might need. At The Wigwam's restaurants in the Phoenix, Arizona area, meals are made to be remembered - and made of the finest possible ingredients. Our "farm-to-table" cuisine emphasizes fresh, locally grown fruits and vegetables as well as locally produced meats, cheeses, wines and other delicacies. And the ingredients just can't get any more local than when they're picked from our very own Farmer's Market and organic Chef's Garden. Wielding these delicious tools, our celebrated chefs create true culinary magic, whether a romantic, wine-paired dinner at Litchfield's or the best burger of your life at Red's Bar & Grill. Each month will feature a noted winery and a unique four course dinner crafted by Executive Chef Rich Hinojosa. Despite its refreshingly casual atmosphere, Litchfield's more than earns its place of honor as our signature restaurant. 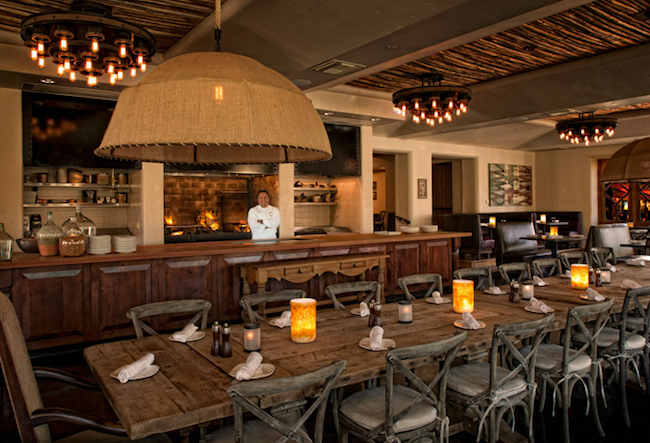 Named after Paul W. Litchfield, then Goodyear Tire & Rubber Executive and founder of Litchfield Park, Litchfield's restaurant pays tribute to the local community - it supports the local community with a menu crafted from farm-to-table and locally sourced produce. With its variety of settings, Litchfield's rises to your every occasion. Meet friends for a nostalgic cocktail on the patio and awaken your appetite with wafting scents of blooming citrus and a mesquite-stoked grill. Savor a cozy, romantic dinner at one of our intimate tables inside or out on the vibrantly landscaped veranda. Throw a fun, high-energy dinner party at our large, communal farm table for an entertaining, interactive experience where Chef de Cuisine shares his talents and insights as he creates culinary masterpieces using a cooking fireplace. As the most exciting addition to the West Valley scene in years, Litchfield's is the community's new hub for dining, celebrating or just a bit of people watching over delectable drinks and hors d'oeuvres. 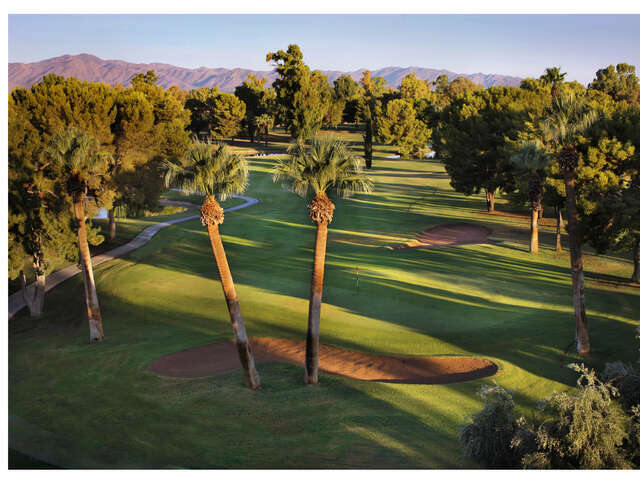 Named after The Wigwam's venerated head golf pro for 42 years, Red's Bar & Grill offers a delicious breakfast, lunch and dinner destination overlooking the elegant, arched palms and rolling greens of the historic Gold and Patriot golf courses. No worries if you can't tell the difference between a pitching wedge and a wedge of iceberg - everyone can appreciate the relaxed vibe and updated comfort food of Red's Bar & Grill. Soups, sandwiches, burgers, pulled chicken and other timeless favorites will be available at both lunch and dinner. Opening up to the patio, the bar welcomes all to relax and chat over a local microbrew and platters of savory appetizers. Join us at Red's Bar & Grill, where the casual atmosphere and soul-warming cuisine are truly a winning combination. Welcome to The Wigwam's heart and soul, a European-style community courtyard in Litchfield Park where locals and guests alike meet for everything from early morning lattés to a late evening of piano jazz and cocktails. This spirited gathering place resides in the main lodge building and spills into the living room with its original 1918 fireplace, as well as the sunroom and library. 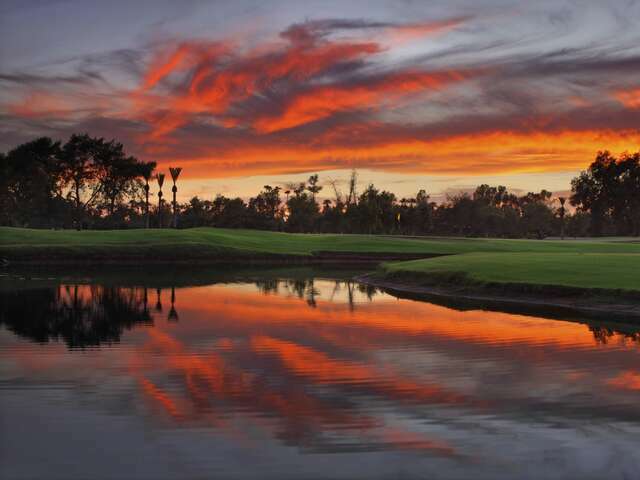 Boasting of luxury casitas and suites, a variety of award-winning restaurants and a full array of recreational amenities, pools and a spa, perhaps what The Wigwam is best known for are its 54holes of championship-caliber golf. Among them are two Robert Trent Jones, Sr. courses that include the famed Gold Course, and The Patriot(formerly Blue Course). Rounding out the golf experience is The Heritage (formerly the Red Course), designed by renowned course architect Red Lawrence.